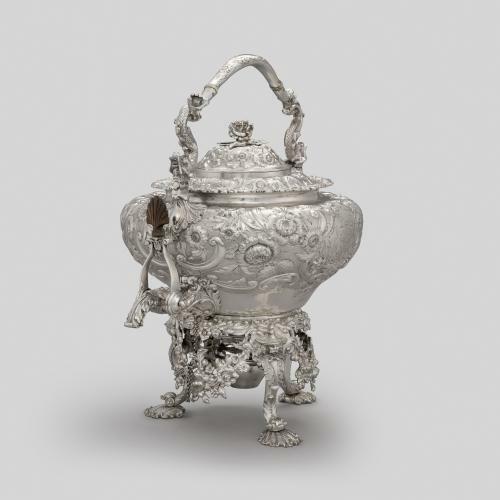 Hot water urns were produced in England from the 1760s to make serving tea more convenient for the hostess. Urns eliminated the need to lift a heavy kettle; simply turning the tap drew hot water. Their inner workings were more complex and the assistance of a servant was still essential. To heat the water, charcoal was kept in a perforated silver container placed at the base of the urn. From the 1770s a heated iron plug was used instead and inserted into a copper tube that was soldered into the centre of the urn. 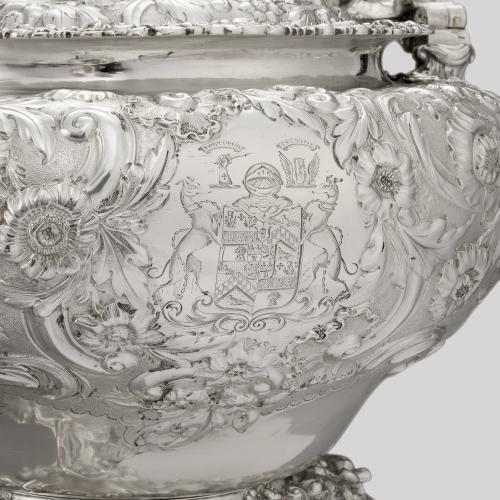 When used in a drawing room with company, large silver urns were an obvious expression of wealth and taste. 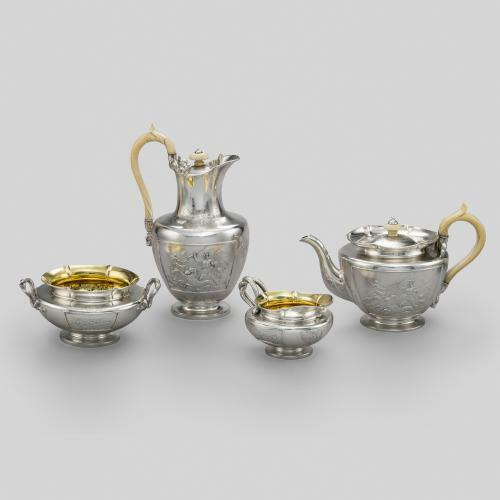 They were usually positioned on a sideboard or on a specially designed urn stand that had a pull out drawer or slide on which the teapot was placed. 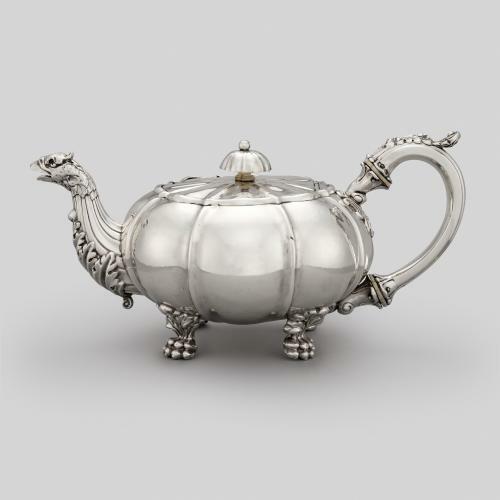 This elaborate example was made by Paul Storr (1770-1844), one of the most celebrated silversmiths working during the first half of the 19th century. Initially his works were retailed by Rundell, Bridge & Rundell, however Storr went on to form his own partnership with John Mortimer in 1822 and was at the height of his career when this urn was created. The design is typical of the rococo revival style, which became fashionable in the later Regency period.